Cataracts develop gradually by clouding normally clear lenses in the eyes until the victim can no longer see clearly enough to drive, read or even recognize a friend’s face. 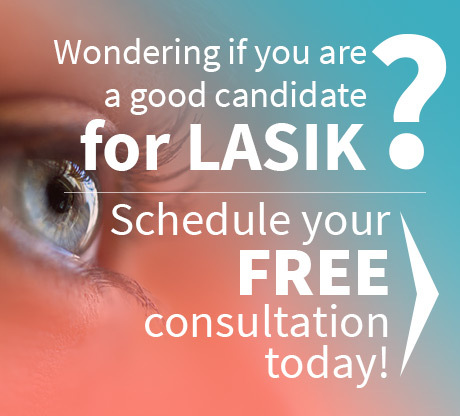 A Houston cataract surgeon can perform an outpatient procedure to remove a cloudy lens and replace it with an artificial lens. However, eating a healthy diet with high levels of the nutrients lutein and zeaxanthin can help to prevent cataracts. We’ve included a recipe in this article for a fantastic kale dish packed with nutrients beneficial to eye health. See for yourself! The American Academy of Ophthalmology recommends eating lots of leafy greens like spinach and kale because they contain high levels of both lutein and zeaxanthin (zee-uh-ZAN-thin). These carotenoids proved in multiple clinical studies to lower the risk of developing cataracts and macular eye degeneration, common problems associated with aging. Cataracts can’t be reversed, so replacing severely clouded lenses with artificial implants is the only option. However, you can delay onset of the symptoms and their severity or prevent getting the condition by protecting your eyes from disease. The easiest way to prevent age-related macular degeneration and cataracts is getting proper nutrition. Lutein and zeaxanthin are the only carotenoids found in foods that work directly in the eyes. A recently discovered third compound, meso-zeaxanthin, is found in the retina but appears to be created by the body from lutein. These nutrients appear to block the blue light from the visible spectrum of light that causes oxidation and prevent the damage caused by free radicals that build in the system as people age. The carotenoids work with beta-carotene, vitamin E, vitamin C and natural antioxidants to bind with free radicals, block damaging blue light, and reduce buildups of fatty deposits in the arteries. You should eat at least five servings of fruits and vegetables each day. If you can’t get enough lutein and zeaxanthin in your diet, you can take multivitamins or dietary supplements to protect against cataracts. If you want to get more of these vegetables in your diet, try this recipe to get a full serving that tastes great! Bring 3 quarts of water to a boil and add a handful of salt. Add the pasta and cook as directed on the package, until al dente. While pasta is cooking, boil the kale in the chicken stock for about 8 minutes. While the kale is cooking, sauté the sausage until brown, breaking it up into pieces – about 10 minutes. Use a slotted spoon to remove the sausage from pan. Add garlic to the pan and cook for about a minute, until just fragrant. When the pasta is done, drain and return to pan. Toss the pasta together with the greens, sausage, garlic, and Parmesan cheese. Add hot pepper flakes to taste. 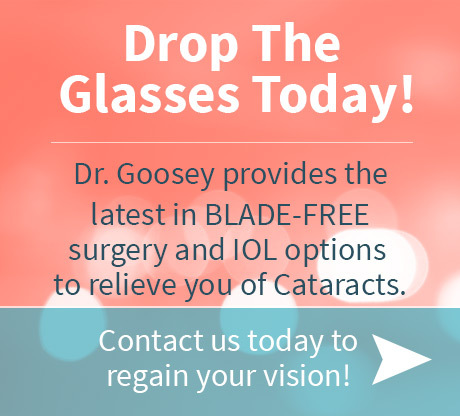 For more information on cataracts and what Dr. Goosey can do to help restore your vision, take a look at our Cataracts Page, or contact us today!